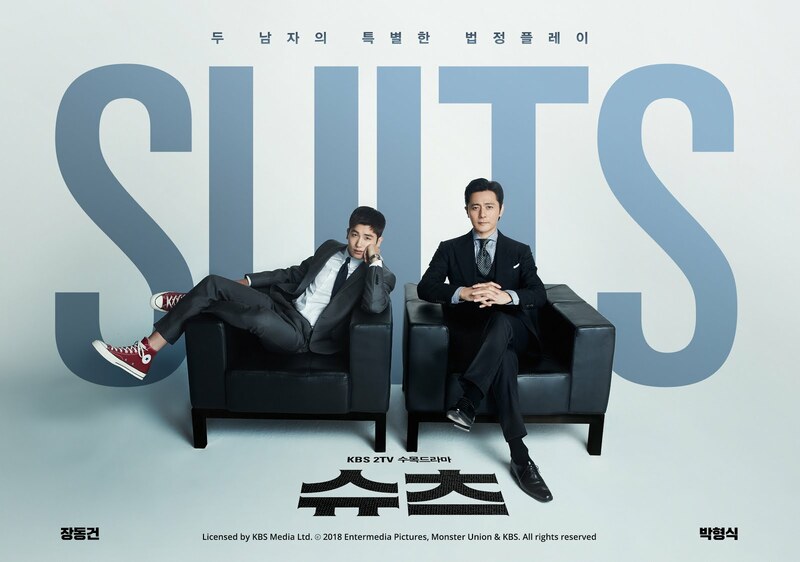 Suits, the Korean remake of the hit US drama series of the same name, is now exclusively available on Viu. Viu, a leading pan-regional OTT multi-screen video service by PCCW Media Group, is the first over-the-top (OTT) platform in Singapore to air the much-awaited remake of the popular American legal drama. With seven seasons under its belt - and season eight on the way - Suits remains one of USA Network’s most beloved and popular series and has been lauded amongst fans and critics since its 2011 debut. The Korean remake, which stars Jang Dong Gun and Park Hyung Sik in the charismatic lead roles, will be available on Viu every Thursday and Friday, within eight hours after its telecast in Korea, with English subtitles. Based on the hit American drama series, the 16-episode Korean remake of Suits stars top veteran actor Jang Dong Gun, whose role in the drama marks his comeback to the small screen after six years. Cast opposite him is idol-turned-actor, Park Hyung Sik, whose debut in Strong Woman Do Bong Soon catapulted him to fame; Suits marks his second leading role. The legal drama revolves around Choi Kang Seok (Jang Dong Gun), a high-flying lawyer who works at a top law firm in South Korea, while Go Yeon Woo (Park Hyung Sik) is a genius with a photographic memory with no college degree or a license to practice law, but Kang Seok hires Yeon Woo as a law associate anyway. Fans can look forward to the chemistry between the seasoned actor and the rising star as the duo tackles court cases while maintaining a secret that could ruin their reputations. Besides the latest Korean shows, Viu’s impressive range of premium Asian content includes Viu Movies with box office hits and all-time favourites from tvN Movies and Now Baogu Movies on Demand, popular kids’ edutainment animation, and Viu Original, a category of original Hong Kong content produced by ViuTV. Korean dramas and variety shows are available on Viu for free to all users. For a small monthly fee of $5.98/mth (U.P.$6.98/mth) via Viu in-app purchase or $4.90/mth via Singtel Cast with a 12-mth contract, Viu users* will enjoy exclusive features such as unlimited downloads, access to all content, priority viewing, full HD and enjoy watching on TV via Chromecast or Apple TV! **.